Panic disorder and agoraphobia are very treatable conditions. Research has indicated that people who have been diagnosed with panic disorder can be effectively treated through medication, psychotherapy, or a combination of these two approaches. There are many medications that have proven to be a safe and effective way to treat panic disorder. Medications for panic disorder fall into one of two categories: antidepressants and anti-anxiety drugs. These medications can be prescribed to lessen the severity of panic attacks and reduce general feelings of anxiety. AntidepressantsAs the name suggests, antidepressants were originally used to treat mood disorders, such as depression and bipolar disorder. It was later found that antidepressants could help treat anxiety disorders, including panic disorder. These medications have been found to effectively decrease the intensity of panic attacks and overall anxiety. Antidepressants are also often used when a person has a co-occurring condition, such as PTSD or depression. The most commonly prescribed medications for panic disorder belong to a popular class of antidepressants known as Selective Serotonin Reuptake Inhibitors (SSRIs). Like all antidepressants, SSRIs affect the chemical messengers in the brain, called neurotransmitters. In particular, SSRIs target the neurotransmitter called serotonin, which is associated with mood. SSRIs help balance a person’s serotonin levels, which can then help regulate mood, decrease anxiety, and improve sleep. SSRIs are often prescribed to people with panic disorder due to their long-term effectiveness and limited amount of side effects. Research has found that SSRIs can assist with reducing the intensity and frequency of panic attacks. Some of the most common SSRIs include Prozac (fluoxetine), Zoloft (sertraline), Paxil (paroxetine), and Celexa (citalopram). Anti-Anxiety MedicationsAnti-anxiety medications, or tranquilizers, are recommended for their fast-acting relief and sedating effect. These medications slow down the central nervous system, which can cause a person to feel calmer and more relaxed. By helping a person feel less fearful and anxious, anti-anxiety medications can greatly reduce the symptoms of panic disorder. Benzodiazepines are a commonly prescribed class of anti-anxiety medication that can help reduce the severity of panic attacks. These medications have a sedative effect that can help quickly reduce panic symptoms and elicit a more relaxed state. Some of the most popular benzodiazepines include Xanax (alprazolam), Klonopin (clonazepam),Valium (diazepam), and Ativan (lorzepam). There are some risks and potential side effects associated with these medications. However, benzodiazepines have been found to be a safe and effective medication in the treatment of panic disorder. Psychotherapy has also been found to effectively treat panic disorder and agoraphobia. Through psychotherapy, a mental health specialist can assist a client in working through unresolved issues and feelings. Additionally, a therapist can help a client develop healthier ways of thinking and behaving that will aid them in dealing with their panic symptoms. Two common forms of psychotherapy for panic disorder include cognitive-behavioral therapy (CBT) and panic-focused psychodynamic psychotherapy (PFPP). 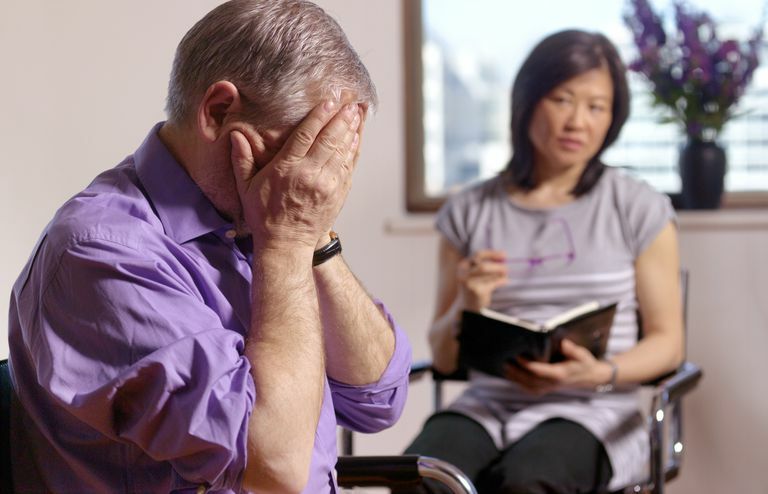 Cognitive-Behavioral Therapy (CBT)Cognitive-behavioral therapy (CBT) is a form of psychotherapy that has been shown to effectively help treat panic disorder. One of the main goals of CBT is to develop coping skills by changing negative thinking patterns and unhealthy behaviors. For example, many people with panic disorder hold negative beliefs, or cognitive distortions, about themselves and the world around them. This faulty thinking often contributes to maladaptive behaviors, such as avoiding feared situations. CBT can help a person overcome negative thinking patterns and develop healthier ways to manage their condition. Desensitization is a popular CBT technique used to help people overcome the fear and anxiety that is often associated with panic attacks. Through systematic desensitization, a therapist gradually introduces the client to anxiety-provoking stimuli while teaching them how to regain control of their anxiety. Gradually, the person is introduced to more fear-inducing situations, learning how to manage their panic through each feared situation. Through this CBT technique, a person unlearns their fear and takes on new ways of thinking and behaving. For instance, a person who has a fear of flying will begin desensitization by working on relaxation techniques while facing a stimuli that only causes a small amount of nervousness, such as images of airplanes. They may eventually advance to more fear-inducing situations, such as going to the airport or boarding an airplane. With each situation, the person learns to manage their panic symptoms. Through continued practice, desensitization may help them overcome their fear of flying. Panic-Focused Psychodynamic Psychotherapy (PFPP)Panic-focused psychodynamic psychotherapy (PFPP) is another popular therapeutic method used in the treatment of panic disorder. This form of psychotherapy aims to uncover past experiences and emotional issues that may have influenced the person’s development of panic and anxiety. PFPP helps a client recognize suppressed and painful emotions, allowing the person to resolve these issues through the support of a qualified therapist. It is believed that by coming to terms with emotional turmoil, the client can then overcome their issues with panic disorder. American Psychiatric Association. “Diagnostic and Statistical Manual of Mental Disorders,4th ed. “1994 Washington, DC: American Psychiatric Association. Gladding, S. T. “Counseling Theories: Essential Concepts and Applications” 2005 Upper Saddle, NJ: Merrill Prentice Hall. Silverman, Harold M. “The Pill Book. 14th ed.” 2010 New York, NY: Bantam Books.